March 2019: Duckweed and Weed Chop problems? Consider this mechanical means to help dissipate them. 2019 Water Circulator Program, Pricing, and Order Form. Please contact WLCA via this website with any additional questions. January 2019: Updated 2018 Annual Vegetation Management Plan including recommendations for 2019 treatments. Maps of treatment areas are included. This report was prepared for the WLCA by Clarke Aquatic Services, Inc. as required by the IDNR in order for WLCA to participate in the Lakes and River Enhancement (LARE) grant program. The grant from this program can cover 80% of the association's cost to treat invasive weed species, and it usually works that way. However, in 2018, the grant was awarded based on an expected 100 acres of Eurasian Water Milfoil (EWM) and the cost to treat that volume of the weed. However, in 2018, Webster Lake contained 175 acres of EWM. Therefore, the association had to bear 20% of the expense to treat the first 100 acres and 100% of the expense to treat the remaining 75 acres of EWM. Initially, the DNR was only going to permit the treatment of up to 150 acres of the EWM, however, our LARE grant official at the DNR was instrumental in obtaining the permission to treat the entire 175 acres. This is very important and very much appreciated, due to the exponential growth of this invasive plant. 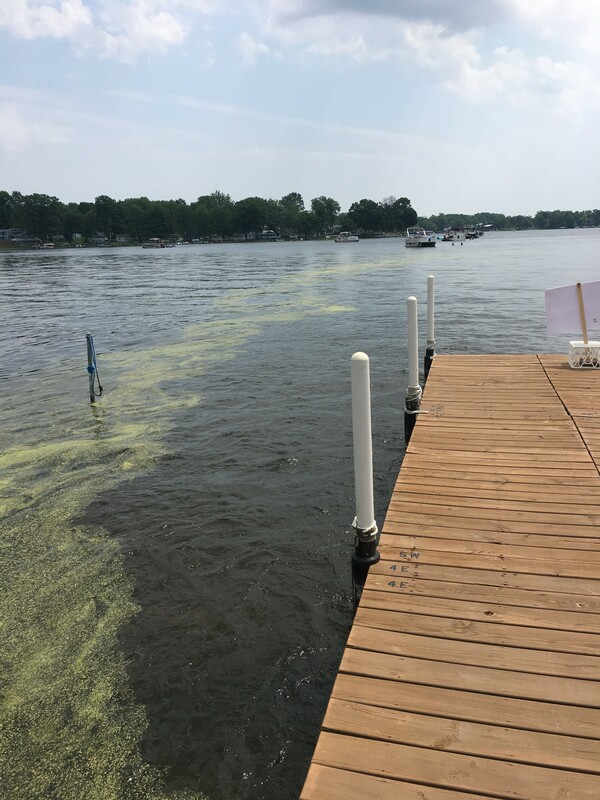 Also, LARE grants will pay 50% of the expense to treat Starry Stonewort which has been a major problem on lakes Tippy and Wawasee in recent years. Luckily, Webster Lake encountered only a small amount of Starry Stonewort in 2016 and it was eliminated. There is no guarantee that it won't return. Additionally, WLCA, through member donations and dues payments pays 100% of the shoreline, channel, and island weed treatment of approximately 65 acres of non-invasive weeds, thus improving navigation and helping to minimize weed chop from the boat propellers. August 2018: 2018 Weed Maps - Spring, Summer, and Fall Maps of the weed volume in Webster Lake. The Summer and Fall maps (Maps 2 and 3) reflect a progressive reduction of the weed volume attributable to the herbicide treatments. June 2018: Mechanical Water Circulator 2-page Flyer and Price List for Webster Lake Property Owners; distributed to select Webster Lake property owners via U.S. Mail and posted to the Website June 2018. October 2017: Year-End Weed Report and Funding Request; distributed to Webster Lake residents in October 2017 via e-mail or U.S. regular mail. September 11, 2017: Here is a slide-show presentation prepared by Aquatic Control for the WLCA September 11 Board of Directors meeting. Please note the color-coded map of Webster Lake prepared from data collected in 2015. This data influenced the decisions made in 2016 relative to weed treatment permits and LARE grants. Data collected in 2017 has been submitted to the IDNR for their consideration regarding treatment of Webster Lake in 2018. August 2017: Volunteer WLCA officers and directors spent approximately three days during August 2017 mapping the lake with a Lowrance sonar unit in preparation of an annually required IDNR aquatic vegetation report. See Entry at May 2017 below for a more detailed description. June 22, 2017: A non-selective weed and algae treatment of the shoreline and channels of Webster Lake was completed by our weed management contractor at a cost of $24,604. May 10, 2017: A selective treatment was applied to the remaining 60 acres (down from 155 acres the prior year) of the invasive weed Eurasian watermilfoil throughout Webster Lake. 80% of the treatment for watermilfoil was reimbursed by a LARE Grant, leaving WLCA a balance due of $2,884. Also, the shoreline and channels in the Miller's Landing area of Webster Lake received a special treatment for invasive curly-leaf pondweed that was growing in abundance. The curly-leaf treatment was paid in full by the WLCA at $4,800. May 2017: Volunteer WLCA officers and directors spent approximately three days during May 2017 mapping the lake with a Lowrance sonar unit in preparation of an annually required IDNR aquatic vegetation report. 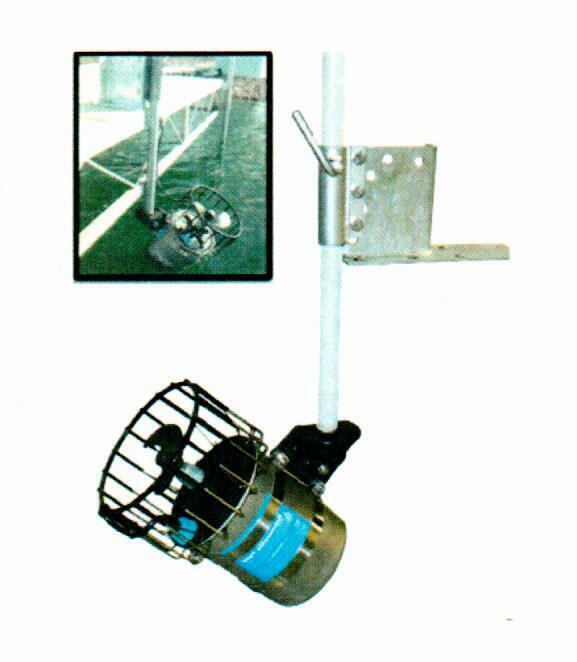 The initial cost of the Lowrance unit was $1,700, including mounting brackets. Annually, WLCA pays a licensing fee of approximately $900 which allows the uploading of the data collected and the creation of a map showing the location, growth, and volume of vegetation in the Lake. Previously, the mapping was done by an outside contractor at an annual cost that exceeded the purchase price of the equipment and licensing fee. September 13, 2016: Here is a slide-show presentation prepared by Aquatic Control for the LARE Grant Public Hearing held 09-08-2016. Please note the color-coded map of Webster Lake prepared from data collected in 2015. This data influenced the decisions made in 2016 relative to weed treatment permits and LARE grants. June 10, 2016: The Mail-Journal, June 1, 2016. DNR allowing more weed control at Lake Webster. © WLCA. Last updated April 14, 2019.